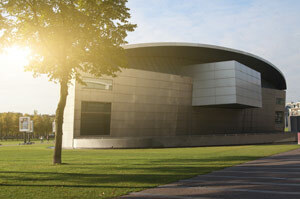 Opened in 1973, the van Gogh Museum is a celebration of the life and work of Vincent Willem van Gogh (1853 – 1890). 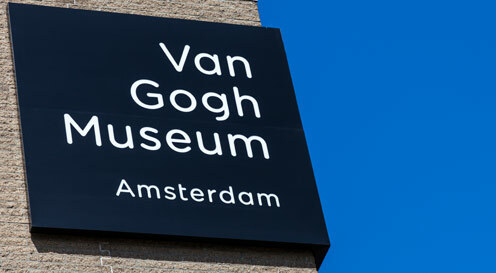 The art museum is not far from Rijksmuseum and is home to the largest collection of Van Gogh art in the world. There are many highlights in the collections such as the famous Potato Eaters. Another is one of the 5 famous sunflower + vase paintings proudly presented with its characteristic yellow background. Originally that was a choice motivated by fitting the painting into a room with yellow walls. Although the majority of the work is either by- or attributed to Van Gogh, other artists are represented as well. The Museum Foundation has acquired work by Gauguin, Monet, Pissarro and Toulouse-Lautrec in order to contextualise van Gogh’s work with his contemporaries. The art museum underwent extensive renovation work to comply with the introduction of tougher fire regulations and reopened in May 2013 after having been closed to the public for 7 months. You might contain your excitement when you first hear that, but as a byproduct of the interruption, the museum experienced a beautiful transformation. 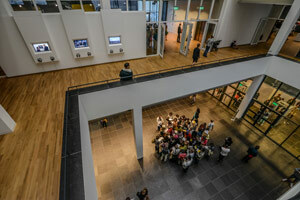 As a culmination of an 8-year-long research project, the permanent collection became a strong coherent exhibition that demonstrated how Van Gogh worked in juxtaposition to his works of art. I.e. the exhibition now includes what inspired the artist at the time, his materials and what he wrote in his correspondence. There is even a scaled down version of the artist’s bedroom in Arles, which in turn is the motif of one of his more famous works painted in three versions. Altogether, the research has been a journey of surprises. For anyone who finds Van Gogh’s oil paintings vibrant and colour saturated, laboratory analyses reveal that the pigments the artist applied have faded considerably over time. It also becomes quite apparent how clumsy he was at drawing initially. Those drawings are in sharp contrast to his paintings which are phenomenal and not least in his last works in Arles. The prolific artist was also surprisingly unsentimental about his production because he painted over quite a few of his own paintings. Canvases mentioned in the correspondence with brother Theo (e.g. ‘the wrestlers’) were considered lost forever, but have now been found underneath other of his paintings. Indeed, the self-taught post-impressionist artist was on a mission in more than the religious sense of the word. While he was only active as an artist for 10 years – of which he only painted for 7 years – he produced 860 oil paintings and some 1300 drawings, watercolours, sketches and prints. 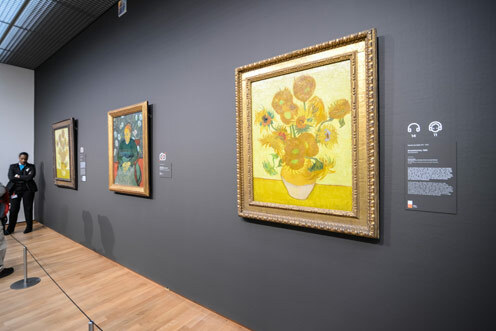 As alluded to earlier, a decent amount of this production is to find at the Van Gogh Museum today and it is neatly and logically presented in a visitor-friendly way. A nice little touch is the introduction of coloured walls — as inspired by a staff visit to the Hermitage. The choice of colours has been extracted from a typical Van Gogh palette. 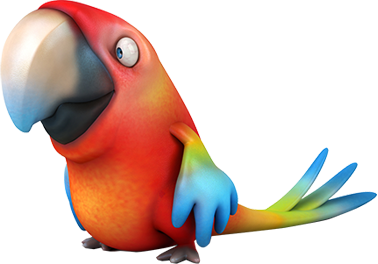 To plan your visit or to find more information, please visit the official website. 09:00 - 18:00 Mo, Tu, We, Th, Sa, Su. Guided tours daily every half hours between 09:30 and 15:30.